class="post-template-default single single-post postid-356990 single-format-standard custom-background group-blog header-image full-width singular wpb-js-composer js-comp-ver-5.7 vc_responsive"
Courtesy/Office of Sen. Deb Fischer. WASHINGTON, D.C. – U.S. Senator Deb Fischer (R-Neb.) 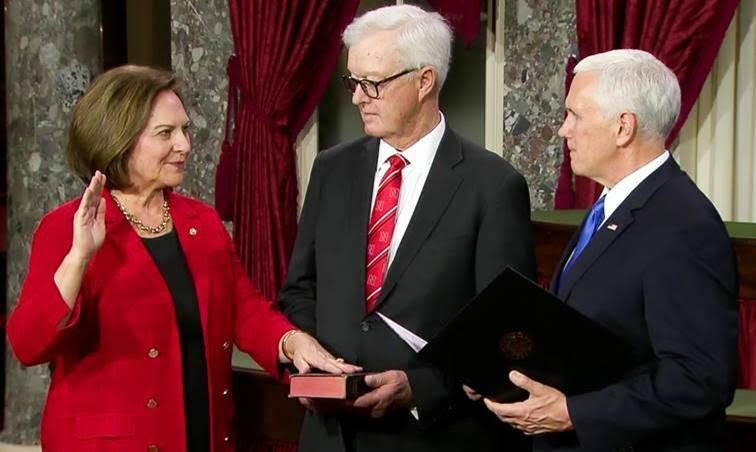 was sworn in Thursday by Vice President Mike Pence to represent Nebraskans in the U.S. Senate for six more years. Senator Fischer was escorted by Senator John Barrasso (R-Wyo. ).